Today is going to be an outfit post, as you know these are my absolute favourite types of post to do and I have something brand spanking new to show you that I was sent from Fashion World! I was contacted by the lovely team and offered a pick from their knitwear range for something nice and cosy for this winter. I had actually been eyeing up the item I chose for sometime now so it was an easy choice to go for the wonder that is the Angel Ribbons Kierra Metallic Yarn Intarisa Waterfall Front Cardigan*. Now I must tell you that I did choose to size up and was so glad I did as I would say it does run small so would definitely recommend doing this if you're unsure. Here is how it looks on! I chose to wear it over a simple black tshirt and leggings for a really laid back weekend look. I can testify that it offers a good amount of warmth and the knit is so soft and cosy. I love the waterfall design at the front with the tassels and the overall design which has an aztec feel to it which I like especially with the metallic twist. and you could even wrap it across the front and secure with a brooch to give another option. I hope you liked this post, let me know what you think of this cardigan below in the comments. 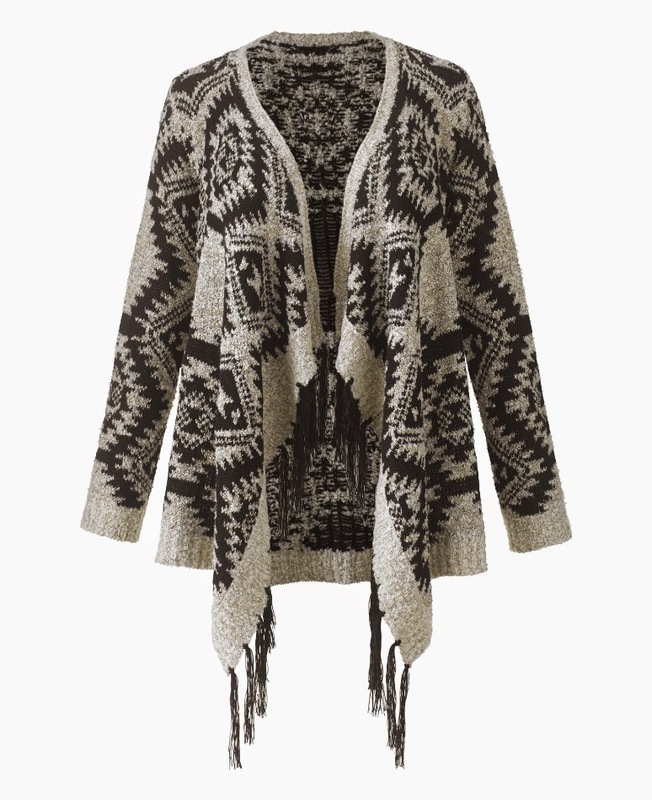 Love the pattern of the cardigan! Just checked out the fashion world app you mentioned, pretty fun haha!